The Taming Of The Shrew - Bear & Co. In April/May of 2013 Bear & Co. presented William Shakespeare's most outrageous comedy, The Taming of the Shrew, directed by Eleanor Crowder with music direction by Rachel Eugster. The all-male cast featured Scott Florence, Nicholas Amott, Chris Bedford, Brie Barker, Guy Buller, Jim Murchison, Scott Humphrey and Tim Oberholzer. The show was well received by Gladstone audiences and was seen by over 2000 patrons over the course of the 18 show run. Bear & Co. thanks The Gladstone Theatre and its' patrons, and its' Bear Cares community partners for helping make our first production as part of the Gladstone Theatre's season programming a successful one. Bear & Co.’s production of The Taming of the Shrew opens the way you’d expect a modern staging of a Shakespearean play to. Actors in tights, capes and frilly shirts bounce pithy lines off one another while giving the audience the necessary exposition. Scott Florence is the artistic director of a Company of Fools, an Ottawa-based Shakespeare and physical theatre ensemble. He works as an actor, clown, director, creator, teacher, and mask maker all across North America—his clown work has also brought him to China! As an actor and clown, Scott has worked with a Company of Fools, Caravan Tall Ship Theatre, Eddie May Mysteries, Metaphysical Theatre, National Arts Centre, Odyssey Theatre, and SevenThirty Productions. As a director, he has worked with a Company of Fools, University of Ottawa, Arts Court Foundation, and Algonquin College. Scott teaches workshops all across North America for groups like the Vancouver International Improv Festival and the Moncton Comedy Festival, and at the University of Regina. His masks have been purchased and worn by a Company of Fools, Odyssey Theatre, and Algonquin College, and he has taught mask making to all ages from 6 to 60. Scott is an associate professor at Algonquin College and a resident trainer with the Canadian Improv Games. He sits on the board of directors of the Canadian Improv Games and the Algonquin College Theatre Arts Advisory Board. He is also a certified Hatha Yoga Teacher. A graduate of the University of Ottawa, specializing in theatre, Nicholas was born and raised in this merry old Land of O-Town. Previous acting credits include Joey Piro in The Curse of the Pekanese Peregrine and Finn Studson in Murder in the 1st deGlee (Eddie May Murder Mysteries), and Macbeth (Sock ’n’ Buskin’). The Taming of the Shrew is Nick’s third venture with Bear & Co., as he appeared this past summer as Charles in Bear’s parks tour of As You Like It, and as Grimaldi in ’Tis Pity She's a Whore at the Ottawa Fringe Festival. The lad is thrilled and honored to have this opportunity now, as Bear & Co makes their Gladstone debut, and he makes his own. Nick is Artistic Director of FireFlood Theatre, and shall be performing in its newest production at the upcoming Ottawa Fringe Festival (The Fight, a combat-heavy, post-apoc collaboration) alongside co-creator Brennan Richardson. Since moving to Ottawa in 2008, Brie has played the role of Florio in ‘Tis Pity She’s a Whore (Bear & Co.), Peter in the 2012 version of The Walk (Moondog Theatre), and Howie in Rabbit Hole (Gladstone Theatre). He also had a lead role in The Phoenix, by Ottawa filmmaker Carmello Zucco. Brie is Artistic Director of Peace Tower Playback Theatre (www.peacetowerplayback.ca), and has been a faculty member of the Ottawa Theatre School and an instructor with the Ottawa School of Speech and Drama. Brie currently designs and delivers learning and development programs for clients in government, business, and non-profit organizations through his company Creative Presence (www.creativepresence.ca). Brie attended Queen’s University and Ryerson Theatre School, and holds a B.A. in Creative Arts/Theatre from York University. Guy is very pleased to be a part of this production of The Taming of the Shrew, and to be working with a great cast and crew. Past acting credits include The Man in The Walk by Moon Dog Productions, Iago with Salamander Shakespeare Company's production of Othello, and Jimmy in the Ottawa Fringe production of Who You Callin' Sweetheart? Guy has continued to develop as an artist and a writer with training in Toronto, Montreal, and New York over the past year, and through recent forays into the world of directing. Much thanks to his co-workers, friends, and family for their support in all of these endeavours. Your love and understanding is greatly appreciated. Jim is editor-in-chief, a critic, and a writer for the Charlebois Post. In his previous life, he was an actor in Montreal, Toronto, and Ottawa. Although he performed in commercials and film up to 2000, his last professional stage appearance in Ottawa was in the Oresteia of Aeschylus, when he was a member of the NAC resident company as a journeyman. The previous year, he performed as a guest artist at the NAC in Walsh. Other stage appearances were in The Red Peppers in Dorset, Vermont; Jitters at Centaur; The Subject Was Roses at the Phoenix Theatre in Montreal; The Kite for Silver Phoenix Theatre in Toronto, and an Equity Showcase production of A Midsummer Night’s Dream at Harbourfront Theatre in Toronto. Film and TV credits include “Crunch,” “Alfred Hitchcock Presents,” “The Great Detective,” Rich Little’s “Robin Hood,” and the original “My Bloody Valentine,” the cast of which is still involved in signings at horror conventions. Jim is more than delighted to return to the theatre in Ottawa with such an excellent team and interesting project. Christopher Bedford is the Artistic Director of Evolution Theatre. He performed in the company’s productions of [boxhead] and pool (no water), though he is best known for his work as a director. His award nominations include a Rideau Award for Emerging Artist, a Capital Critic’s Circle Award for Best Director (The Ventriloquist), and the OAC’s Pauline McGibbon Award. He is a graduate of the University of Ottawa’s Theatre Program and has studied abroad at the School of Physical Theatre in London. He also studied with world-renowned theatre trainer Philippe Gaulier. He sends his love to Linda and Nathan. Tim Oberholzer is an Ottawa-based actor, production manager, theatre technician, and a founding member of the Ottawa-based theatre collective Bear & Co.
Tim has appeared recently in Batboy: The Musical (Blacksheep Theatre); As You Like It and ’Tis Pity She’s A Whore (Bear & Co.); The Communication Cord, I Do Not Like Thee Dr. Fell, and A Flea In Her Ear (Seventhirty Productions); Miracle on 34th Street–The Radio Show, Cyrano De Bergerac, and The Shadow: A Christmas Mysteries Radio Show (Plosive Productions); The Radio Show: It’s A Wonderful Life (Gladstone Productions); Othello (Salamander Shakespeare Co.); The Curse Of The Pekinese Peregrine, Showbiz is Murder, and Murder in the First DeGlee (Eddie May Mysteries); and Tongue and Groove and The Mechanicsville Monologues 2 (Chamber Theatre Hintonburg). In June, he will debut his first original work, The Vanity Project, at the 2013 Ottawa Fringe Festival, as well as collaborating on a second Fringe project with Bear & Co., and will appear in The Comedy of Errors (Bear & Co.) in July/August. Eleanor recently directed Bear & Co.'s 'Tis Pity She's A Whore, and will return to direct their upcoming production of The Taming Of The Shrew in April/May 2013, and her new play Windfall Jelly at the 2013 Ottawa Fringe Festival. 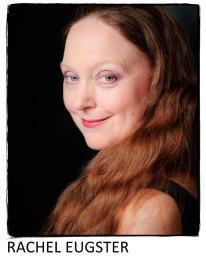 She appeared as twin Dukes in Bear & Co.'s As You Like It and appeared in, wrote and directed Bear & Co.'s Momma's Boy. In Ottawa, Rachel has appeared in The Walk (Moon Dog Productions), in Momma’s Boy at the 2011 Fringe Festival, in the Gladstone’s Farndale Christmas Carol, as a Gladstone Sister in Miracle on 24th Street,, and as soprano soloist with various choirs and orchestras. Rachel is interim conductor for Aiyue Choir (the Choral Society of Ottawa’s Chinese Community); has served as music director for Bear & Co., Salamander Shakespeare Co., and GNAG Theatre; and was artist in residence at Parkdale United Church. To learn more, please visit http://RachelEugster.com/. Anna Lewis hails from Vancouver. She has a BFA from Concordia University, and can be found acting, designing, stage managing, directing and teaching, as opportunities allow. Most recently, she has designed costumes for Absurd Person Singular (SevenThirty Productions), developed The god Monologues for Faith and Arts Ottawa, and performed in Edmond (Chamber Theatre Hintonburg). Catch her in Windfall Jelly at the Ottawa Fringe Festival, and directing Bear & Co.'s summer tour of The Comedy of Errors.